In my first review of Silver Efex Pro 1, I mentioned that “black and white photography isn’t really my thing” but I went on to say it was a fun product. Over time I fell in love with Silver Efex Pro and found myself trying it out on various photos and I started to like it more and more. In fact, in some cases even saved some bad shots with it. 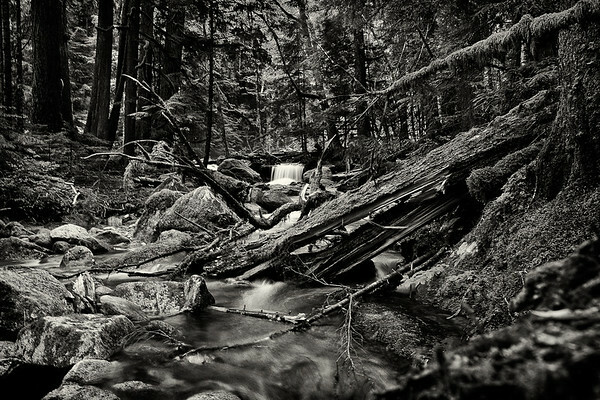 Now my portfolio on Zenfolio even has some black and white images in it – something I thought I’d never do. I created this duotone of one of my favorite landscape shots. 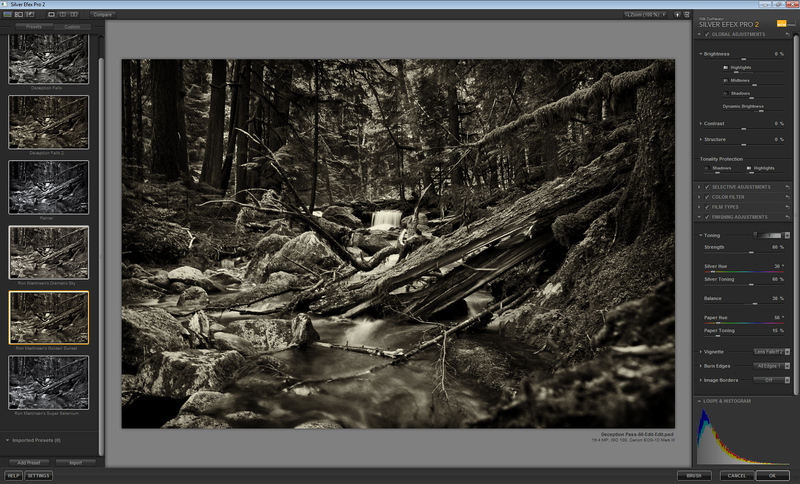 When I got my hands on an early release of Nik Software’s Silver Efex Pro 2, I went nuts with it. I found myself falling in love with the new presets and creating some of my own. It became super addicting to play around with Silver Efex to the point where sometimes I’d probably spend a little too much time having fun creating multiple black and white variants of my images. Of course, I should probably use the term Duotone rather than black and white because most of my images, like the one above, ended up introducing some other color for a nice warm tone to the image. I really liked this shot in color, but the new look created in “black and white” was memorizing. In fact, I’ve been enjoying my new images so much that I’ve been printing them like mad on Epson Exhibition Fiber using the Advanced Black & White mode of my Epson Stylus® Pro 3880 printer. It’s so cool to see large prints of these neat images and realize that black and white doesn’t have to mean dull, and even more importantly it doesn’t have to mean JUST black and white! I found that one really fun thing to do with Silver Efex is to create a nice duotone image and use it is as a semi-transparent layer in Photoshop over your color image to create a nice desaturated look. 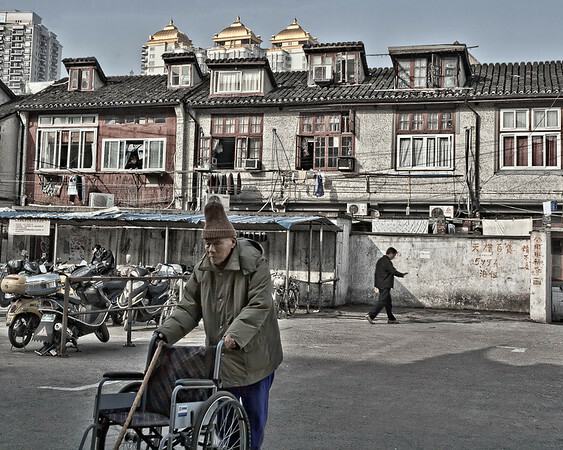 As you can see in the image above that the color image is probably too happy for this scene where there’s a stark contrast between wealth and poverty in Shanghai, China. I felt the duotone version was nice, but it was a little bland and lost the character of the shot – despite my bringing the gold color back in using Silver Efex 2’s Selective Colorization feature found on its U-Point controls. To me the shot that made me the happiest was when I merged the two together for the final desaturated version above which retains the character of the colors but also has a bit of a somber feel to it. This is just one of the many ways Silver Efex Pro 2 can open the door to new creative opportunities. Silver Efex Offers SO Much More! 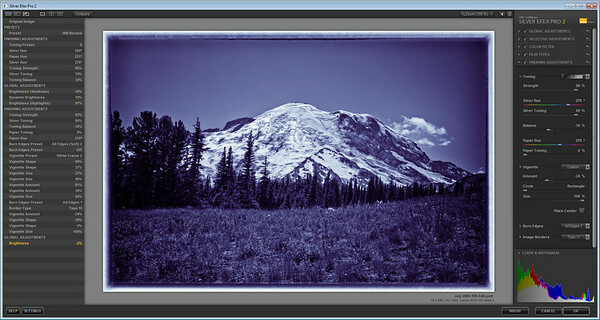 When I first heard that Nik Software was doing Silver Efex Pro 2, I thought WTF? Silver Efex is one of the newest products in its line-up (only Viveza 2 and HDR Efex Pro 2 are newer), so why on Earth would they upgrade it before something like Color Efex Pro? Furthermore, I was happy enough with the first version I thought – who on Earth is going to pay to upgrade? Seriously, what can they do to upgrade a program that “just” converts your images to black and white, right? to the cool new frames feature, SEP 2 offers more of everything! Beyond the great new user-interface hijacked from the award winning HDR Efex Pro which added great features like preset preview thumbnails, this version adds blazing fast performance, a Lighroom-like history panel, image borders (a.k.a., frames), massive improvements in the global adjustments panel (i.e., dynamic brightness, curves-like adjustments, structure, etc…) and so much more. I don’t like Silver Efex Pro 2, I LOVE IT! I’ve had so much fun and had both of my printers cranking out prints from all of the fun experiments I’ve done with Silver Efex Pro 2. I use it with Photoshop CS4, CS5 and Lightroom 3, but it also works with Aperture. The performance is excellent, the UI design is well organized and super useful. The flexibility offered by all of the right panel options makes Nik’s famous U-Point controls less necessary, but they are still there when you need them. In fact they’ve been improved with over twice the functionality before including the much needed Selective Colorization feature (woohoo). Windows users will appreciate that the window is now a REAL window featuring minimize, a proper maximize, and resizing functionality. I also had no problems moving the window back and forth between my two displays, something that can trip up some other products that use graphics card hardware acceleration. I can’t let the Nik developers off too easy because I want to see even more in SEP 3, so my area for improvement in the future is mostly around the border (a.k.a., frames) feature. I’m not sure that feature really belongs in the product, but after using onOne Software’s awesome PhotoFrame 4.x I’m pretty spoiled about what a framing feature can be. I find the current iteration good for a first attempt, but I’d like to see the frame added to the outer edge of the photo without cropping my image, and I’d like to have control of the frame color (currently only white unless you choose their black preset). This is a minor quibble and honestly the only thing I could nitpick at in what is otherwise a fantastic product. Even if you despise black and white photography or duotones, I encourage you to AT LEAST try the demo of Silver Efex Pro 2. It really is a fun product to use and experiment, and as I showed it can even be used to add a new dimension to your color photography. I honestly couldn’t go back to Silver Efex Pro 1 after using this version, and it’s now a regular part of my digital workflow. 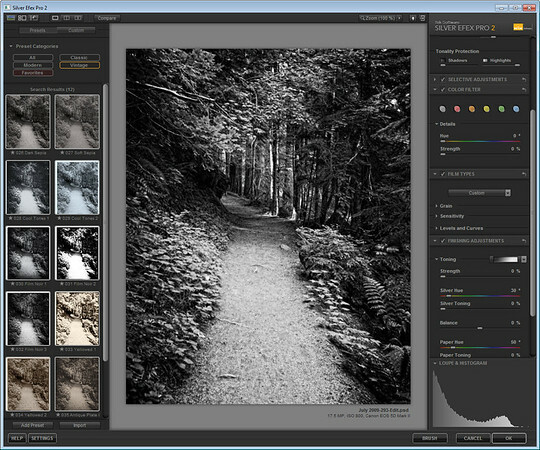 Nik Software allowed me to participate in the beta using pre-released versions of Silver Efex Pro 2, and they have provided me with free software in the past. I may get a commission if you purchase using my coupon code, so thanks for supporting this blog and future articles by using my code! I’ve been a big fan of Nik Software even before they started giving me products to review, so don’t take my word for it. Try the free demos and see for yourself why I love their products so much! European customers can contact me privately via email only for a special offer that works in Europe. I'm interested to know if Silver Efex Pro 2 is now included in the Complete Collection bundle? Would rather buy the complete package than one tool. Great review! YES! It's a free upgrade for those before the cutoff date (see their web site) so even if you already have purchased the Complete Collection you'd get SEP2. Thanks for your kind words and be sure to use the discount here to save some money when ordering your complete package. That's the best value, so you are smart to do it that way.